Companies often shy away from setting up business in the capital because of the initial set up costs, or the difficulty and time consumed to get a London office up and running. London especially has been long known as an expensive place to set up, and the whole system can be difficult to deal with on a logistical basis from afar. Obviously if the company is big enough or the potential market large enough then the problem is more easily surmountable, but even in this case a local support team can help. In many cases it is the simple local problems that can be the major concerns. In most companies, the technical and manufacturing side is already in position within the company, as their expertise will usually form the main part of the business. This can mean that moving or expanding the company to a new location in the capital can be a difficult process; potentially losing out on business while the move takes place. It might often make sense instead to expand the business with a new purely administrative office in the city, but keeping the development and production offices in their original location. Moving into the city can be the logical next step for a business looking to expand. A large, busy city like London especially provides plenty of new business opportunities and customers. For most businesses, being able to afford a new office and staff in the capital is simply out of reach. 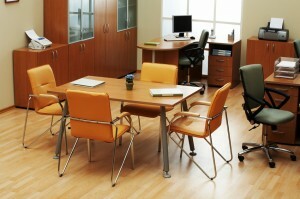 However there is another way which most businesses overlook: The serviced office. How Does A Serviced Office Lower Costs? The serviced office business has developed quite quickly over the last 25 years, and the early suppliers are now very sophisticated in what they can provide. Firstly they can provide a top London address; with an office space often being available at the proverbial “drop of the hat”. All the reception and administration services can be bought on an ‘as required’ basis, with the whole rent and staff coming in at a price significantly lower than setting up from scratch. For a business moving to the capital for the first time, this can start with a rental space of 1 month or 3 months and it can be arranged either with a time lag or on a very short notice basis. This provides the Company with a limited financial risk but with the full chance of exploring the market place. Probably the biggest advantage is that of flexibility within the system in that virtually whatever is required can be supplied but it is only charged on an as used basis. For example the office may only have 1 or 2 people working there full time, but professional meeting rooms are available and can be booked when required. IT is available on site, charged as and when required, and there are links to highly rated legal and accounting sources. This means that your London office can be run at a low cost to begin with, but with meeting rooms bought additionally when they are required to meet your first clients. Most serviced office companies provide a simple telephone and mail answering service. The final benefit is therefore that if your staff are required to return to their office outside of London, then all messages, telephone and postal services can be carried out in the name of the Company in their absence. Your clients would not even know the difference. Quite a simple and immediate solution to a complex problem. Are you talking about a virtual office? I have one in New York and would like an address in London. Does anyone reading this know of a good one in or near London? If so, feel free to contact me either through this comment or link to my email above. Thank you! Next post: Are You Disappointed With The Results That Your Adwords Account Is Producing?